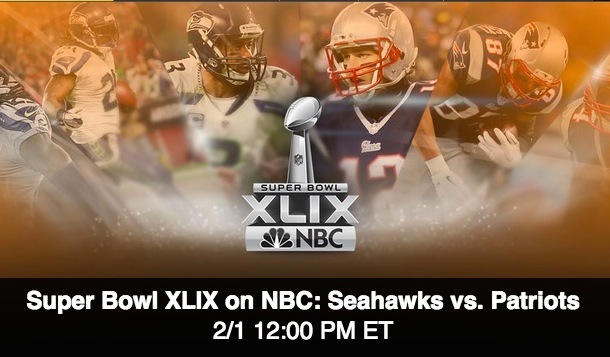 Super Bowl XLIX is here, and if you don’t want to miss any of the Seahawks vs Patriots action, you can stream the game live in any web browser, on any iPad, and even on some iPhones, all for free if you’re in the USA. For most users looking to watch the game this Sunday, the best bet will be to stream it live using any web browser from the NBC Sports website. Being web based, this works on any Mac OS X browser, Windows browser, Linux, or perhaps another dusty old operating systems you may have laying about just waiting to watch the Super Bowl with. iPad users who want to watch the game can do so by downloading the free NBC Sports Live app and tune in at the proper time too. Things get a little trickier for the iPhone, where only Verizon customers can gain access to the live stream from the NFL app. That means Americans with AT&T or T-Mobile will need to find another approach, or just not watch the game on their iPhone. For international audiences interested in watching the hopefully not deflated pigskin flying across some artificial turf, 9to5mac points out that you can subscribe to an NFL access pass for $10, which would allow streaming of the game to just about anywhere on the globe with the bandwidth to support it. International users who are more tech savvy could also use a VPN with an IP based from the USA to tune into the NBC live stream too, if they were so inclined. Enjoy the game! And if you’re not into football, maybe play some DOS games instead, that’s fun too. I wonder how under-inflated the balls will be this time. I hope Tommy leaves with tears of sorrow in his eyes. I’m rooting for the Seahawks too! Don’t worry, they’re making up for under-inflating the footballs by over-inflating the tickets! The NBC Sports Live Stream is not “Free”, requires a subscription to Xfinity/ Comcast, which is definitely not free. Doesn’t 1200 EST = 0900 PST? NBC says 3:00 pm Pacific, i.e., 6:00 pm Eastern. Pregame started at 9 Pacific.